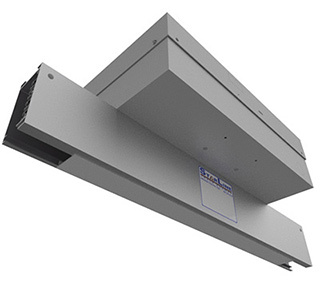 The Starline Track Busway 100 & 225 amp systems are ideal for supplying a large amount of power to industrial, retail, laboratory or mission critical environments that require it. Whether you need to supply power to lighting fixtures, server racks, or equipment along an assembly line, the 100 & 225 series of busway is your power supply solution. The housing cross section measures in at approximately 4.2 inches (107mm) tall by 2.4 inches (61mm) wide. 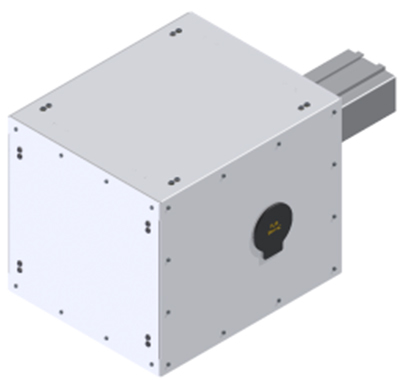 Although all systems offered in this series are built with the same aluminum housing, you have the choice of either 100 amps, for somewhat smaller applications, or 225 amps for larger. 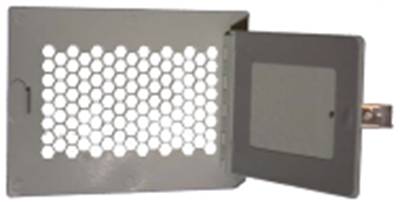 The housing includes solid copper busbars contained in a full length insulator mounted on one side of the interior wall. 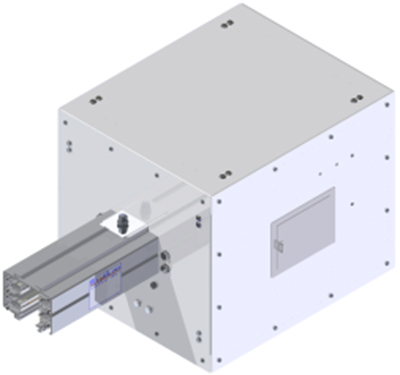 The aluminum extrusion acts as a 100% ground path, and each section of housing has an open access slot over its entire length for the insertion of turn-n-lock plug-in units. 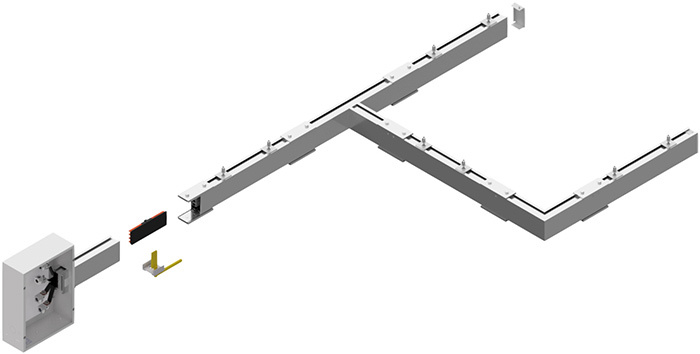 Busway joint connections are made using a joint kit, which includes a housing coupler and bus connector. 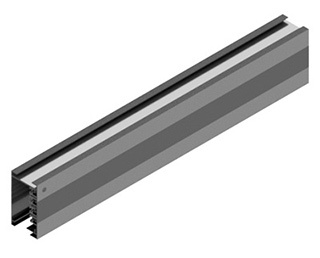 An installation tool is used to insert the bus connector in between the busbar channels of the two sections for a solid spring-tempered electrical connection. A housing coupler is then used to make a solid mechanical connection. 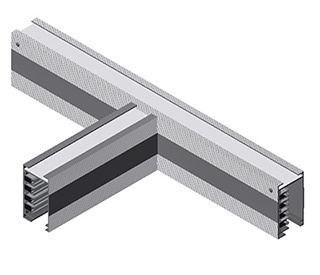 These joint kits are also used to connect tee and elbow sections to a housing section in order to create custom system layouts. 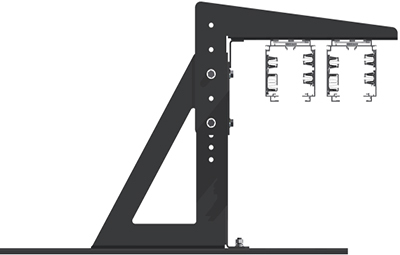 With the 100 & 225 systems you have the option of placing a power feed unit either at the end, the bottom or the top of the busway. 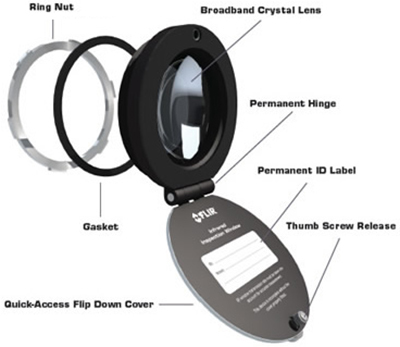 Options such as what lugs are used, size of the box, and whether you would like metering or not are also offered. The available plug-in units for 100 & 225 are vast and include options for outlet units, drop cords, circuit breakers, fused disconnects and terminal blocks. 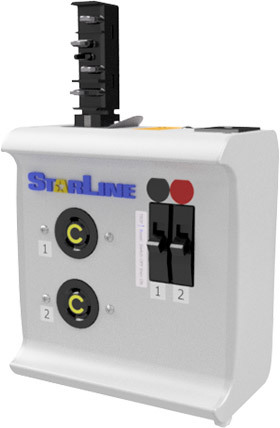 Starline Plug-in Units are completely customizable, and come equipped with a special paddle that inserts into the busway’s continuous access slot, turns 90 degrees and makes a spring-loaded, reliable and safe connection. Also, once the plug-in unit is inserted it can be secured or locked into place, reducing the risk of accidental power disruption. The Starline Track Busway 100 & 225 amp systems are powerful power distribution solutions that have stood the test of time. 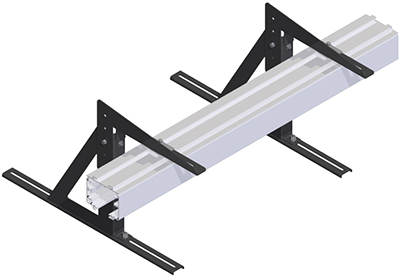 Whether it be used for large industrial projects, or for mission critical environments, Track Busway guarantees a continuous overhead power connection with flexibility for the future. 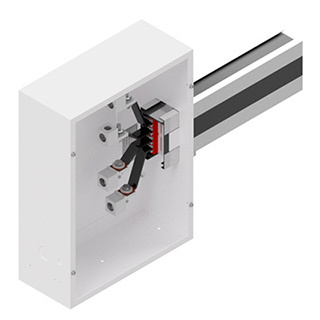 Designed to mount directly onto virtually any server cabinet, this optional mounting bracket accessory provides a flexible installation option as an alternative to threaded rod and strut support from the ceiling. Installed in the busway end feed, an IR window provides electrical connection information while the panel doors are safely closed.